New Rock boot (Trail Collection) M.TR005-S1. 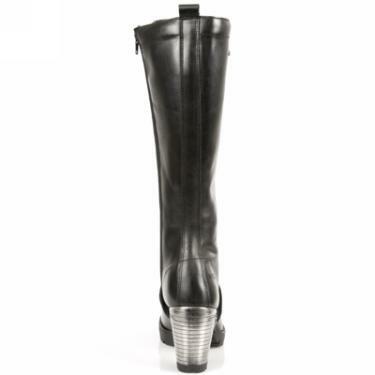 Black leather knee high boot with a black trail sole, and a 3 1/2 inch metallic heel. They have laces, and a zipper on the inside leg for easy on/off access, and are lined with soft leather for an extra comfortable fit. 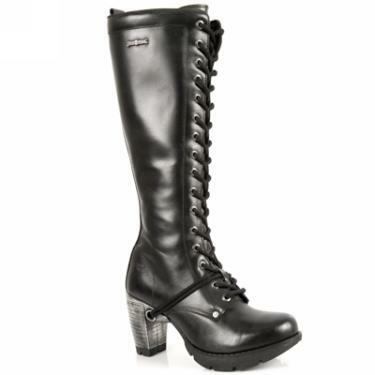 In stock for immediate delivery is EU size 39 and 40. 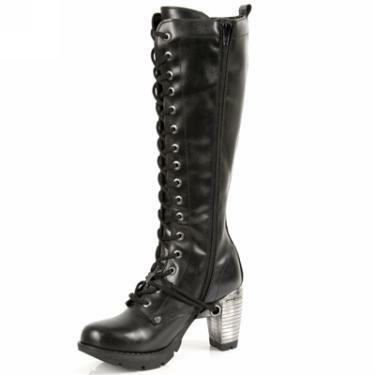 The regular price of these boots was euro 215.95.